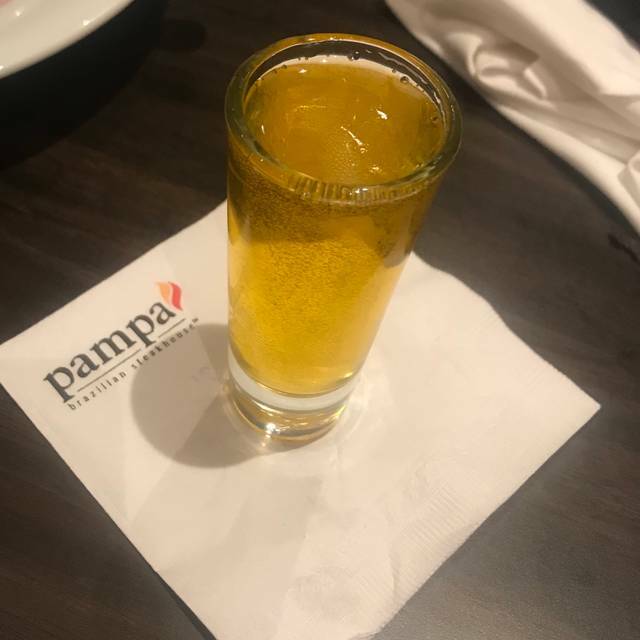 You must make reservations at least 5 minutes in advance of the time at Pampa Brazilian Steakhouse - West Edmonton. Our authentic team of Gaucho Chefs will prepare the Southern Brazilian traditional; recipes on a daily basis for you. Our traditional cooking methods, the freshest of ingredients and stylish yet authentic presentation promise a unique gourmet experience. Service was ok until our waitress had 2 large parties seated in our section and was busy with them. She even commented to us that was where she had been. Food was ok, cheaper meats come around much more often and we had to request filet to come to our table and when it finally came there wasn't enough for everyone, so 2 of us had to wait longer. Caramel cheesecake was to die for, and after dinner liquor was also a treat. Overall you should go and have the experience. It has been 2 years since we were last dined at the downtown location, this time we went West end and I'm sure it'll be at least 2 years until next time. We had a nice time with our friends and we left feeling stuffed, so that's a classic Pampa experience. Our server was not very attentive though. We had to ask for our drinks to be refilled and even though we said we were celebrating something, there was no recognition of that. Our server also had a runny nose which was off-putting - especially when she wiped it with her hand. All in all, it was a passable experience, and we will be back, but it won't be our first choice for a celebration next time. I have diet specific needs and the manager and Carlito made sure that I had everything I needed. Son and I had a wonderful time celebrating his 17th birthday and we will be back to this new location again. In fact, this will be our go-to location from now on! Also.....YAY MEAT!! Took a friend for his birthday lunch with the new Linch Club card. Had a great lunch, wonderful conversation, and fairly attentive service. It was pretty busy being a Friday but the crew had no problem keeping up. Always a pleasure. I was very pleased with the service and very pleased of where we were placed. It was my daughters birthday, who is gluten intolerant. So the plate brought out for her was a wonderful surprise for her. Pampa never disappoints. This is my favourite restaurant. Food is always delicious. Staff is always friendly. Good value. Carlos the manager is very attentive. Awesome food, very flavourful and great selection. Our server was very personable, friendly and helpful. The restaurant was very clean! It is too pricey for children! Loved it! Would like to see some seafood possibly! Our children came up from Calgary and took us out for our anniversary and we enjoyed eating at the Pampa Brazilian Steakhouse. Everyone enjoyed their meals. The meat was absolutely delicious and the service was attentive. This was our first trip to Pampa after hearing how amazing it was. We decided to celebrate our anniversary here. My boyfriend and I were extremely happy with our waitress, the quick delivery of all drinks and food, and of course the delicious food. The pricing was fair, especially if you see how many expensive cuts of meat that you have unlimited access to. We will definitely be back next time we are in Edmonton. Thank you for making our first experience perfect! Everything about Pampa is perfect! Very accommodating!! Waiter was AWESOME and very knowledgeable! Not quite as good as the last time. Got there a 1/2 hour before our reservation, as we compensated for traffic, and despite the restaurant being 75% empty, and it didn’t nearly fill up before we left, the man at the front made us wait almost until our reservation. Easily could have sat us earlier. Rarely saw the waitress, although she was friendly. Went without beverages most of the time. A large table of men beside us always got the meat first, and often there was none left for us, except the cheap hand and sausage. And they swore loudly and constantly, despite us having a child at our table. Had a much better time the first time we were there. Fantastic food and very professional staff but get ready to pay for it. 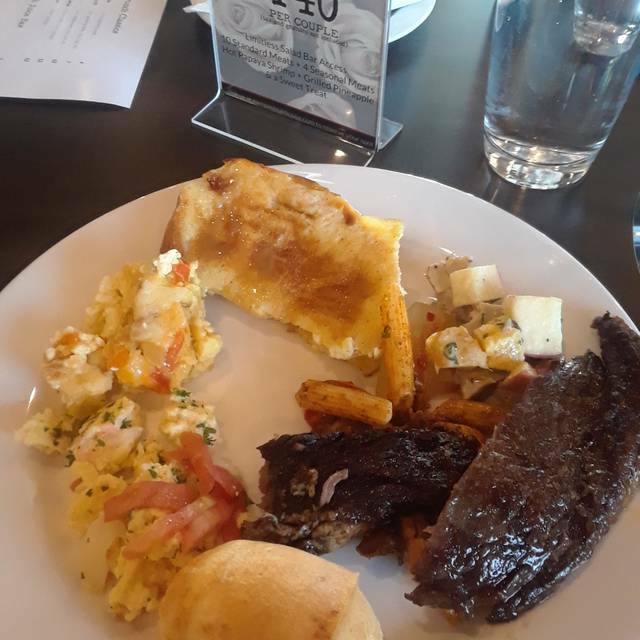 This restaurant is a combination of buffet for sides and appetizers and then specially prepared meats brought to your table by servers dressed in traditional Brazilian "cowboy" apparel. The servers will come to your table often offering various specially prepared meats like beef, lamb, pork, chicken, etc... My advice to anyone going here is to go on an empty stomach! I felt like the money I payed was worth the experience. I came with a friend thinking this was just another steak house but soon discovered otherwise :-o. If you're a meat lover this is definitely the place for you! First time at Pampa. Was happy but not blown away. Short waiting period, family atmosphere, great welcome, first visit at Pampa everything were explained and showed. tables big enough, no jostle, space for waiters to come and serve you, even with a bigger group of guests around you, everythinmg feels comfy. I could tell you more and more but go by yourself. You will not regret. It was my husband birthday want to have a different restaurant experience.Food,service good,friendly atmosphere. Our waiter was incredibly and made the night worthwhile. I do not think I would go to often as cost is quite high. Birthday celebration. 5 people. Restaurant was loud and hard to hear people at the table. This is just from the people dining and waiters. Salad bar was decent. Servers brought meats around regularly but found quality of meats just average. Over priced for the quality. Would have preferred a nice steak in a quieter setting. It was a great experience. Food was a Amazing, service Awesome just a general great birthday dinner we had! Can’t wait to return for another good time. This was my first visit and I would come back again, gladly, except I'm handicapped and was on a mobility scooter. Your handicap ramp on to the sidewalk is extremely dangerous and coming back off it as well. my son had to lift both myself and the scooter to get back to he car injuring his back. I wish there was shrimp offered as 1 of the 14 meats. As my sister and I were driving home, we were wondering if we had tried all of the meat. It would be nice if there was a list at the table that we could have checked off to be sure we had tried everything!! A suggestion? YES!! LOL It was nice and the food was really good!! Loved the parmesan pork!! Oh!! That was another thing. If we could rate the list of meats that we tried as well. May be helpful for you to see if there is anything you guys could maybe change, because although the chicken drumsticks were cooked excellently, they were a tad tasteless. But overall a great experience!!! The food was really good, loved all the choices. Not sure if it was just loud or maybe the acoustics but found it was hard to hear. Not the best outlet. Service is very slow. Salad bins take forever to be refilled. Toilets are dirty. This location has the best staff! They were amazing! Super quick and interactive with all guests! Absolut great place to be... Awesome - great Food , very fresh and fantastic presentation. The staff and servers are very friendly and paying attention to everything. Excellent - way above average - food, ambiance and service. Subtle flavors ; friendly enthusiastic waiters. Drinks were expensive, but with smoke-infused whisky Old Fashioned so gooood, I didn’t particularly care when the bill arrived. Poor cuts of meat, over salted. Took my husband there for his birthday - he loved it! Definitely will be returning. 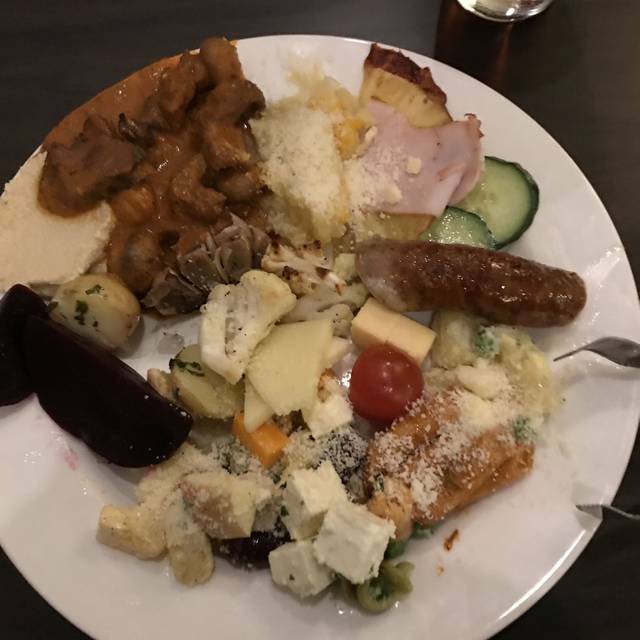 Food (especially the unlimited meat) was absolutely delicious! Very fair price for the experience and quality of food you’re getting. Service was wonderful. Very unique and lovely restaurant! My family had a great time and really enjoyed the food that was served, I was worried at first that the frequency of food coming around would be slow but that worry went away quickly as the staff were absolutely outstanding in delivering the food in a timely fashion . Cannot say enough about the servers who genuinely looked like they were enjoying their job, which made the dining experience over the top, fantastic. 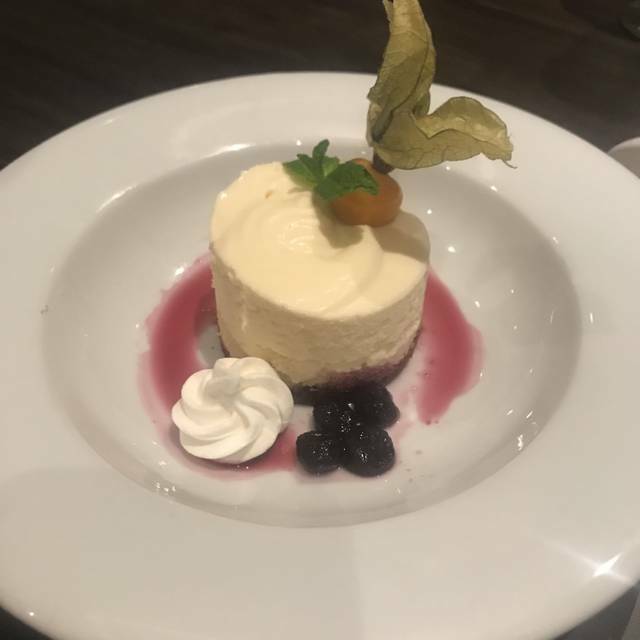 I almost hate to make a criticism about the restaurant, however I did find this restaurant to be quite expensive, there were three in my party I had a cocktail and a shooter with my dessert, there were two desserts ordered and 2 pops, altogether including tip was just under $300. But if a great place like this is always packed I would see no reason why they would even consider lowering their prices but for someone like me my frequency there would be far and few between, but I will Go back one day, just need to budget for it.